In the framework of "Clean Up Georgia" campaign the local coordinator of the Greens Movement of Georgia / Friends of the Earth-Georgia in Samegrelo - Zemo Svaneti organized large - scale clean up actions in Khobi, Tsalenjikha and Chkhorotsku municipalities with support of local government, where together with organizers the representatives of local population participated in the action. In the frame of the action the yards of the schools, surrounding area of the stadium, the centers of the villages. were cleaned up in Khobi municipality. Approximately 5 ha area. The action was attended by employees of Gamgeoba, Council, and representatives of local population. Approximately 900 people participated in the action, around 20 m3 of waste were collected. 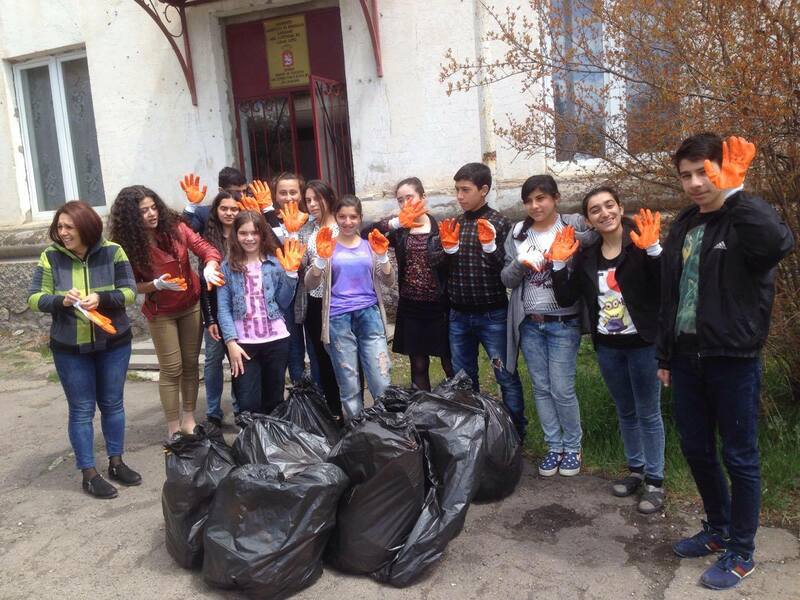 On April 29, within the framework of the campaign “Clean up Georgia” a clean up action was carried out in Zugdidi municipality, organized by the local coordinator of the Greens Movement of Georgia ; Friends of the Earth Georgia, with support of local authorities. The event was dedicated to the Earth Day Week, during which a large scale cleanup action was organized under the title "Clean Up Georgia Together, ”with active participation of Zugdidi Municipal City Hall and representatives of Zugdidi Municipality. Within the scope of the action around 105 hectares of land were cleaned up in Zugdidi Municipality and Zugdidi Municipal City Hall area, including 25 hectares in Zugdidi Municipal City Hall and 80 hectares in Zugdidi municipality. Totally 2440 people took part n the action. Among them were 950 citizens from Zugdidi municipality City Hall and 1490 people from Gamgeoba of Zugdidi Municipality. On April 28, regional coordinator of the Greens Movement of Georgia / Friends of the Earth-Georgia organized a cleanup action within the framework of "Clean up Georgia" campaign in Tianeti Municipality. The event was attended by 150 people. Tianeti entrance (1,5 km section of Tianeti-Tbilisi highway ) and Sioni reservoir neighborhood area were cleaned up within the action. During the event about 5 hectares of land were cleaned up and around 10 m3 of waste was collected. The clean up action has been organized as part of "Earth Day" week. On April 29, the Greens Movement of Georgia / Friends of the Earth-Georgia organized a clean up action dedicated to the "Earth Day " Week within the framework of "Clean up Georgia" campaign in Abasha municipality. Employees of Gamgeoba and Sakrebulo of Abasha municipality , pupils and teachers of public schools, local population participated in the action together with organizers. 28 April, on the occasion of Earth Day Week a clean up action has been carried out in Akhalkalaki municipality within the framework of the campaign “Clean Up Georgia”. The event was organized by regional coordinator of the Greens Movement of Georgia/Friends of the Earth Georgia. During the action almost all public schools and kindergarden areas and central districts of town Akhlkalaki were cleaned up. 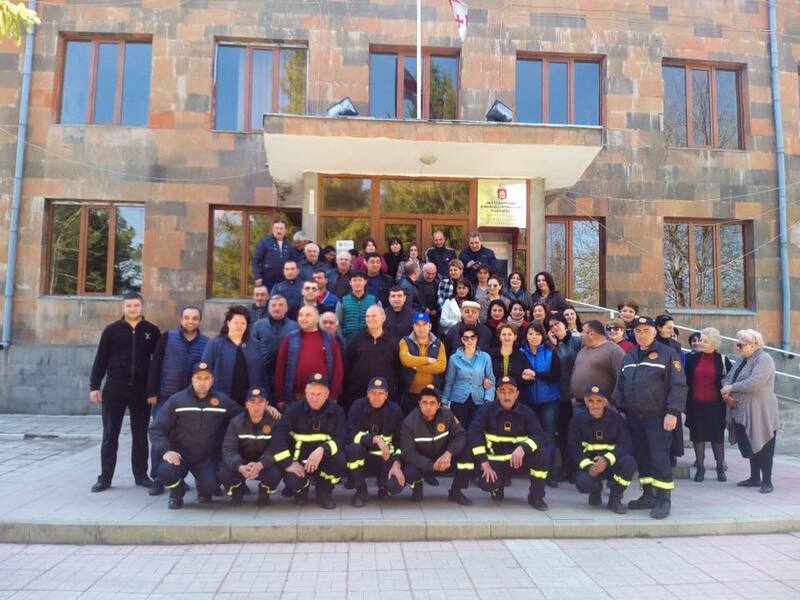 Representatives of local authorities, Gamgebeli of Akhalkalaki Municipality, employees of Sakrebulo, local Cleaning Service and various structural units, Chief of Police of Akhalkalaki municipality and police officers, Rescue Service staff, pupils and teachers of public schools, local population took part in the action. May 5, 2017, Georgian Society of Nature Explorers “Orchis” arranged a meeting in Ninotsminda Municipality with the participation of representatives of Municipality Administration (Gamgeoba) and Assembly (Sakrebulo), Gorelovka, Konduri, Jigrasheni and other administrative units, non-for profit juridical persons, media and others. 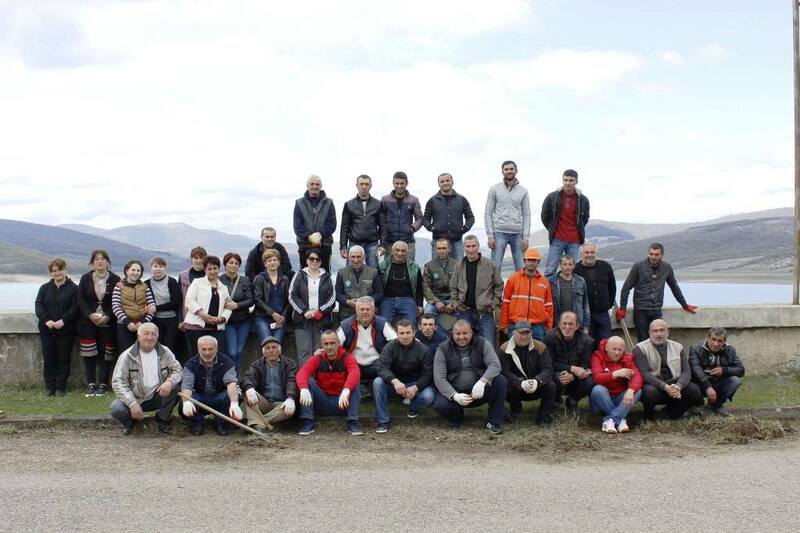 In the framework of the project “Clean Up Georgia” a clean up action has been conducted in Samtredia municipality , where representatives of local authorities and people took part. The event was organized by regional coordinator of the Greens Movement of Georgia/ friends of the Earth Georgia in Samtredia. The clean up action has been organized within the scope of Earth day Week and around 150 people took part in the event.. During the event the central districts of the municipality and centre of village Didi Jikhaishi were cleaned up. Around 3 m3 of waste were collected and about 2 hectares of land has been cleaned up . 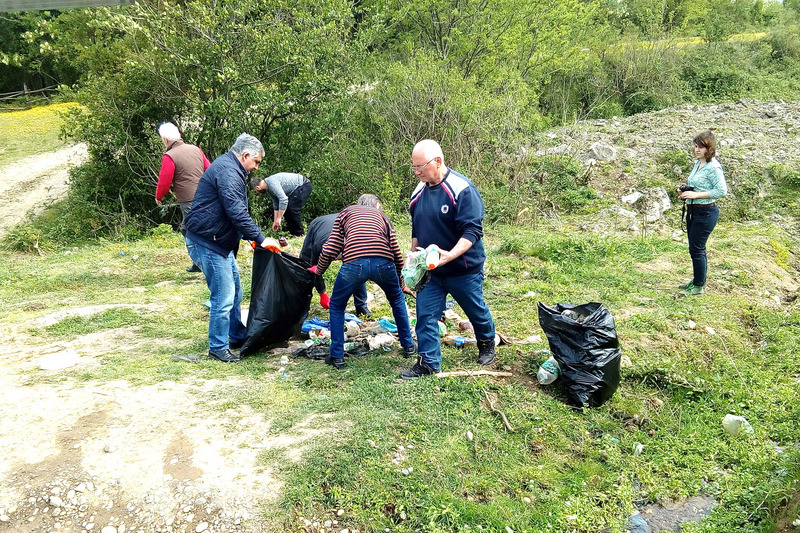 On April 29, within the framework of "Clean-up Georgia" campaign and on the occasion of Earth Day a clean up action was held in Senaki municipality. The event has been organized by the regional coordinator of the Greens Movement of Georgia/Friends of the Earth Georgia. Representatives of local authorities, teachers and pupils of public schools took part in the event together with organizers. 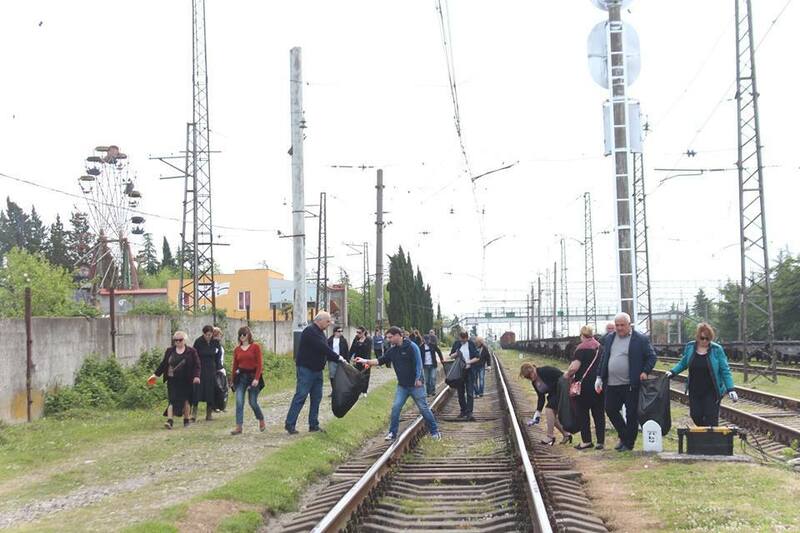 Within the framework of the event a 6-kilometer section of the railway line, including the central streets and parks of the municipality were cleaned up. About 3 tons of waste were collected and transported to the landfill. About 130 volunteers participated in the action. On April 24, “Earth Day” Week in Bolnisi municipality was marked by carrying out clean up action within the framework of the campaign "Clean Up Georgia." The event was organized by the local coordinator of the Greens Movement of Georgia / Friends of the Earth Georgia with support and participation of local authorities, representatives of Ltd. "Communal Farming" and Kvemo Kartli Forest Service Department and №2 Public School pupils. On April 22, in the framework of “Clean Up Georgia” campaign a cleanup action was carried out in Marneuli municipality, organized by the regional coordinator of the Greens Movement of Georgia / Friends of the Earth Georgia, dedicated to the “Earth Day “ Week. During the action has been cleaned up the square and its surrounding area in village Algeti . About 4 hectares of land has been cleaned up and around 89 bags of waste were collected. Nearly, 50 people took part in the event. In the action together with organizers participated Chairman of Marneuli Sakrebulo and employees of local Cleaning Service and various structural units, local population. On April 21, within the framework of "Clean-up Georgia" campaign and on the occasion of Earth Day Week a clean up action was held in Terjola Municipality organized by the regional coordinator of the Greens Movement of Georgia/Friends of the Earth Georgia. Representatives of local authorities and local population took part in the event together with organizers. Within the framework of the event 5 hectares of land has been cleaned up and about 20 m3 of waste was collected. Nearly 250 volunteers participated in the action. On April 21, within the framework of "Clean-up Georgia" campaign and on the occasion of Earth Day Week a clean up action was carried out in Tkibuli , organized by the regional coordinator of the Greens Movement of Georgia/Friends of the Earth Georgia. Representatives of local authorities and local population took part in the event together with organizers. Within the framework of the event were cleaned up squares and strips of the central road. About 6 hectares of land has been cleaned up and about 21 m3 of waste was collected. Nearly 250 volunteers participated in the action. On April 22, “Earth Day “ Week in Dmanisi municipality was marked with cleanup action, The event has been organized by the regional coordinator of the Greens Movement of Georgia / Friends of the Earth Georgia and carried out within the framework of “Clean Up Georgia” campaign. In the action together with organizers participated Chairman of Dmanisi Council and employee of local Cleaning Service and various structural units, local population. During the action were cleaned up the neighborhoods of village Pantiani. About 4 hectares of land has been cleaned up and around 8m3 of waste were collected. Nearly, 400 people took part in the event. On April 22, “Earth Day” Week in Tsalka municipality was marked by carrying out clean up action within the framework of the campaign "Clean Up Georgia." The event was organized by the local coordinator of the Greens Movement of Georgia / Friends of the Earth Georgia with participation of municipality employees and ;local residents. During the action were cleaned up the landfill neighborhood area at Tsalka entrance, center of village Trialeti, schoolyard and its surrounding area in village Bediani and Gurianiskali road section. Approximately 3 ha area was cleaned up, 300 bags of waste were collected and around 250 persons took part in the event.